The Americans have their Pi Day later this month – March 14th – 3.14, as they write the month then the date. We have our own “Approximate Pi Day” on 22nd July – 22/7 – a good approximation for Pi. 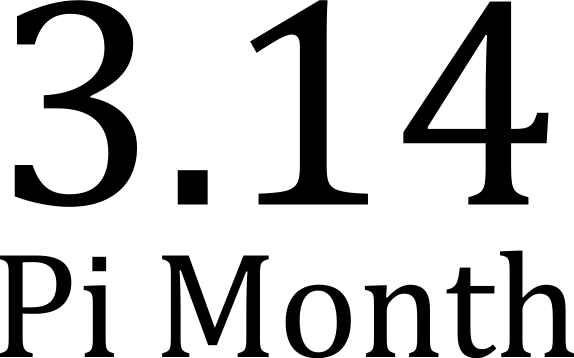 But this year, we have “Pi Month” – March 2014 – 3.14. This entry was posted in dates and tagged Pi. Bookmark the permalink. Post a comment or leave a trackback: Trackback URL.